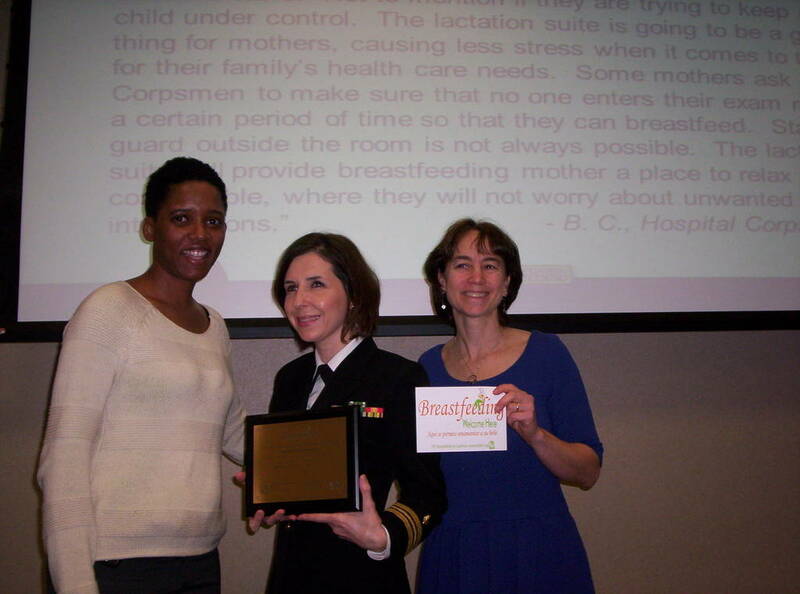 "From a Hospital Corpsman stand point, having a lactation suite is beneficial not only for our patients, but also for clinic staff who have returned to work after having a baby and are pumping. As an active duty expecting mother, I am grateful to have a private, quiet place to pump where there is no worry of being disturbed. The lactation suite and the policies that are being implemented in support of breastfeeding have put my mind at ease knowing that I will have my command's support in continuing to breastfeed after returning to work. The lactation suite also benefits our patients, as they too now have a place in which to breastfeed their baby while attending appointments. Patients no longer have to breastfeed in the waiting room when they desire privacy, and will not have to resort to using less than ideal places like the restroom. The lactation suite also improves our patient flow as mothers who need to feed their babies do not have to do so in exam rooms after their appointment has concluded." "Seeing breastfeeding mothers try to breastfeed in the waiting room is challenging. You can see that they are trying to be courteous to those around them but there is only so much that you can do in hopes that you're not making others feel uncomfortable. Not to mention if they are trying to keep another child under control. The lactation suite is going to be a great thing for mothers, causing less stress when it comes to the clinic for their family's health care needs. Some mothers ask Corpsmen to make sure that no one enters their exam room for a certain period of time so that they can breastfeed. Standing guard outside the room is not always possible. The lactation suite will provide breastfeeding mother a place to relax and be comfortable, where they will not worry about unwanted interruptions."